(TibetanReview.net, May31, 2016) – Expanding its definition of “the Dalai Lama clique” to include groups supporting human rights and freedom for the people of Tibet, China has on May 29 condemned London-based group Free Tibet for criticizing a foundation owned by the family of the US Secretary of State John Kerry for investing in an environmentally destructive venture that bottles and markets Tibet’s glacial waters. 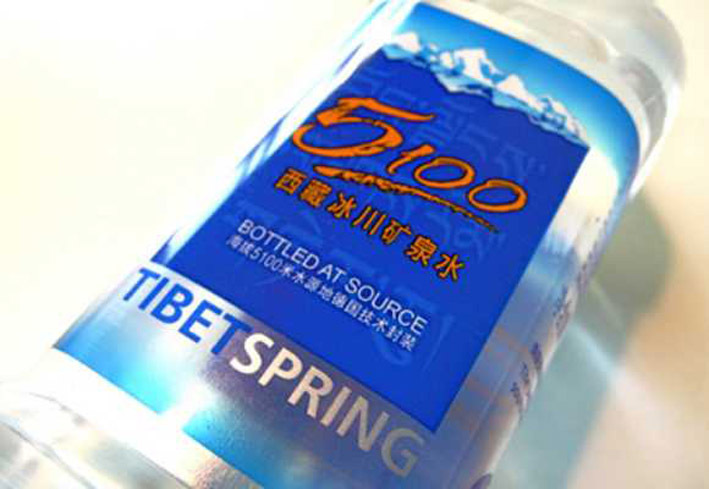 Free Tibet had said US Secretary of State John Kerry and his wife Teresa Heinz had reportedly invested in 12 Chinese companies, including one in Tibet called the 5100 Water Resources Co. Ltd., a Chinese company that sells bottled water, through HFI Imperial, a Heinz family trust. “It is unfortunate now that through this fund, Secretary Kerry’s family – knowingly or not – is supporting a Chinese business, which is exploiting Tibetan resources and doing harm to its environment,” Alistair Currie, a spokesperson for Free Tibet, had said. Although Free Tibet is a British NGO with membership of British citizens supporting Tibet’s freedom struggle, China’s communist party mouthpiece People’s Daily online (en.people.cn) May 30 called it an organization of exiled Tibetans advocating “Tibet’s independence”. And it continued that “the Dalai Lama clique is either being too sensitive or is attempting to hype up the issue as it ‘politicizes’ a foundation’s normal investment activity,” citing a May 29 criticism by Tibet.cn, a Chinese-language, state-run website. And it cited Tibet.cn as defending the investment by saying, “active investments in Tibet’s water conservancy construction can help boost comprehensive capability in environment administration and protect water resource ecology”.